We often put composers on a pedestal next to Bach, Mozart, and Beethoven. That may be why the thought of composing music ourselves can seem daunting. All the same, the impulse to compose is one many people share. And though it's true that any creative aim requires ongoing study and commitment, there's no reason that composing can't be introduced just as invitingly as writing, drawing, and dancing are. The Class Notes video How Do Composers Compose? takes the intimidation factor down a few notches by giving us a glimpse into the creative process of the extraordinary young American composer Jake Runestad. 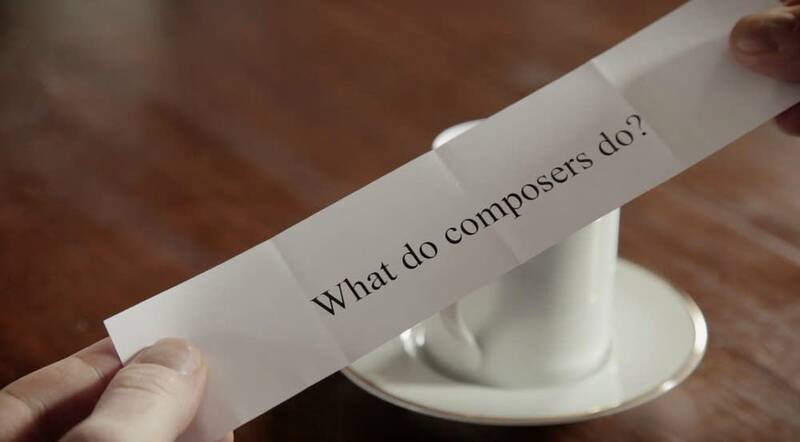 After being introduced, he answers a series of questions he composers are often asked — from "What do composers do?" to "Where do you like to compose?" He sums up his answers by reminding us that the compositional process is as individual as composers themselves are, and signs off by encouraging us to create our own original music. The following Class Notes videos also refer to composing and composers: The Musical Round: A Roundabout Tale (which includes Runestad's short round "I Love Puppies"), A Look Inside the Score, and Antonín Dvořák in the New World. For a playlist focused on important composers, visit our Audio Backpack.